Which is the best laptop under 20000? 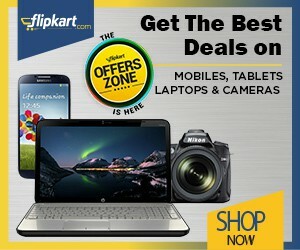 Looking for the best laptops below Rs 20000 price range? The demand for budget laptops under Rs 20000 is very high these days because every one of us needs a laptop for our daily use or for college needs so that one can complete his or her assignments. Laptops are readily available to fit into just about every budget. To be frank most people overspend when buying a laptop and it is really unnecessary to do so. Any technology, including laptops, have a shelf life of about three years before they become outdated, so spending thousands of dollars buying a laptop does not necessarily guarantee you that your purchase will not be outdated rather quickly and you will find yourself longing for the next latest greatest model. As far as budget goes, Acer is one of the cheapest brands available. Consider your budget carefully and be realistic and only buy what you can afford! Laptops are a lot like cars, once you use them they lose value so you will never get out of them what you put into them. They are not an investment, they are a tool that is to be used, so budget accordingly. What are you going to use your laptop for? This is a big question that you should definitely answer before buying your laptop. If it is strictly to be used for work or school then you will need less memory which in turn will be less expensive, if you are going to use it for gaming purposes than you will want to focus on buying a laptop that has a bit more memory and is geared toward media use. There are some great low-cost options if you are relatively new to computing and don’t want to spend a fortune. The lower end models are perfect for internet surfing, word processing and a host of other processors simply activities according to the consumer reports we have read. One of my brother’s friend is cheated by a shopkeeper by purchasing a laptop of Rs.18000 at a price of Rs.23000. Even that laptop supports only 2GB RAM. He just wasted his five thousand bucks without knowing much about that laptop. Keeping him in mind I have created a list of top 10 best laptops under Rs 20000 with 4GB RAM, lightweight design, and 1TB hard disk drive. If you are a student then this price range is perfect for you to buy a low budget laptop. Read More useful articles on laptops- Best Budget Laptops Under 15000 with DVD Drive and 4GB RAM and Best Laptops Below Rs 25000. Most of you are looking for Intel Core i3, i5 laptops in this price range but let me tell you guys those chipsets are still needed time and technology to put those chipsets in the budget price range. I have found queries regarding that these laptops are perfect for programming or actually if you are a heavy tasker and need a gaming laptop in this price then this is not your cup of tea. For a high-end gaming laptop and programming laptop, you need to spend little more for that. Nowadays students need 2 in 1 touchscreen detachable laptops which are easier for them to carry and do there MS office work easily on the go. We have compiled up laptops from all the top laptops brands in India like Lenovo, HP, Dell, Asus, and Micromax. If you are from metro cities like Delhi, Mumbai, Bengaluru, Guwahati, and Kolkata then you can take advantage of e-commerce companies because they are offering one day delivery on their products. We will list upcoming laptops in this as soon as they are available in the market. We provide only value for money laptops. As these laptops can play decent games but don’t expect high-end gaming experience from them. We have made our list according to the buying tips from tech gurus on 91Mobiles, MySmartprice, Smartprix, NDTV, and Digit. If you are still confused on laptops then read this guide on – How to buy good laptops at a cheap price. The HP 245 G5 (Y0T72PA) is a good PC Laptop for people who want good product under a good price range. It has the essential strength for normal office work and for entertainment reason. So if you are searching out a low budget computer then this is the one worth thinking about. Lenovo is known for delivering a quality product to their customers under good price range. The laptop is designed for day by day usage and its wide display screen permits the customers to enjoy watching movies and other stuff. The most effective downside of the laptop is the absence of windows OS which means the customers must installed on their own. Micromax Ignite LPQ61408W is very budget friendly laptop at this price range. As always Toshiba is offering the best tech laptop which is able to give you a smooth experience. The Laptop does come with Windows OS. So, you do not have to install windows as your own. Asus A553SA is an effective laptop with good gaming abilities, this is flawless shapes the needs of a heavy gamer with a tight pocket. Asus has put enough effort in making this quality product with good configuration and reasonable price that makes this laptop worth buy. The HP 15-ba007AU/bg003AU is a cost-effective laptop which has the efficiency to address trendy computing responsibilities. The main reason to buy this perfect laptop is its brand HP which has a competitive quality product under this price range. Dell Inspiron is a high-quality product under this price tag that can give you a premium experience. The configuration is boosted by means of features like HD webcam and tray-load optical Drive. First-class speakers make it proper for movies and songs as properly. So, this is a list of best budget-friendly laptops under Rs 20000 which suits especially college students. There are some things are missing from this list which people search online like best 2 in 1 laptop (Convertible), Intel Core i7, i5 and i3 processors, touchscreen display and detachable screen panel. The laptops in this list are not for Business purposes. If you are a YouTuber or you want to edit videos then you have to go with a higher price range of laptops. From the above list of best laptops below 20000 using 4GB RAM, you can get your hands on smooth functionality which are excellent for everyday intent. These budget laptops work quite well even at the low-cost point are lots for basic tasks on a computer and are a great selection for learning or just something to maintain yourself an indulgent date with.